Here are some of the common queries addressed by the users. Read through our FAQs for better understanding of how website support and maintenance actually works. Problem solving We troubleshoot and resolve any problems, bugs or errors you are having with your website. We often find bugs site owners weren’t aware they had. Website changes	Keep your website fresh with simple updates to content, blogs or social sites or add new pages, forms or functionality to your website and keep up to date with the latest trends or change sin your business. Content writing We can help with creation of content for your website or blog. Our experienced content writers can the job done quickly and professionally. Optimisation If your website is not designed with the end customer in mind, they may not be able to find the information they need and they will go to one of your competitors (the next link in Google). We can help with your structure, navigation and page design to improve your customers experience and keep them on your site longer. Monitoring We monitor websites scanning for possible issues and identifying them as they occur, long before you or your customers are aware of them. Training We provide online training and can teach you how to get the most out of your online services including website, online marketing and email. Reports Want to know what’s happening? We can create customised reports for your business on your website’s performance (including traffic, source destination, popular content) and online marketing performance among others. Security patches We ensure your systems are up to date with the latest security patches to prevent malicious attacks and hackers hijacking your website or accounts. At Complete Cloud our focus is making your life easier. Our support and maintenance plans are designed to get you out of fire fighting issues with your website and get you back into your business. You can interact with us in any way that makes you comfortable at the time that suits you via phone, email, chat or our support centre. We audit your site when you join us and create a plan for resolving your current issues as well as suggesting improvements. We provide you a single point of contact across all of your online services not just your website. There is no need to run between multiple companies when you have an issue trying to work out who is responsible. With Complete Cloud you are in safe hands. For our customers that have support and maintenance that know they have regular support and maintenance needs, they can receive bonus support hours by pre-paying for 6 or 12 months of support. If you pre-pay for 6 months of support you receive an extra 10% of your support hours, if you pre-pay 12 months of support you receive an extra 20% of your support hours. Below are the total bonus support hours for the life of the term. With our pre-payed 6 and 12 months contract terms, you will not be penalised for exceeding your monthly support and maintenance hours as you can use your hours at any time in your contracted term. You will also not be charged an extra fee. We believe that once you pay for your support and maintenance hours you have a right to use them at any stage during your contracted term. No. Unlike some companies we do not penalise you for not using your support hours by the end of each month. You are free to use your hours for the life of your term. For example if you decide to sign up to a 12 month support term you can use your support hours at any time within those 12 months. Our support and maintenance packages are designed to make your life easy. After you have signed up, all we need from you is your website login and details of any issues you are facing. We will complete a website audit identifying any existing issues and making recommendations to improve your website. 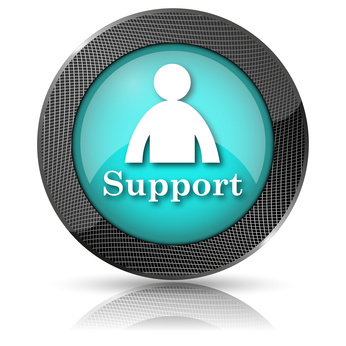 Our support team will then be available to support all of your online services. This is great for customers with small websites that do not need our services often. It also allows you to trial our support services risk free. You get the professional support services without the discounted rate of the monthly plans. Our plans are designed to allow you to get the best out of your website. Protect your website and your customer’s data and keep your site fresh. You also receive a discounted rate and bonus hours for pre-paying.